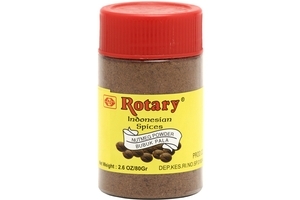 Rotary Nutmeg Powder (Bubuk Pala) in 2.8oz (80g) bottle. Product of Indonesia. Halal Certified حلال . ABC Kecap Manis (Sweet Soy Sauce) - 20.2fl oz.